He urged the people of Nyampande to work hand in hand with Maluba Rotary Club for the benefit of their children. “Let us be open-minded, we are here as a team to make a difference with you. It is partnership, we are not here to give you something, we are here to work with you to improve what you have so that the children can benefit. 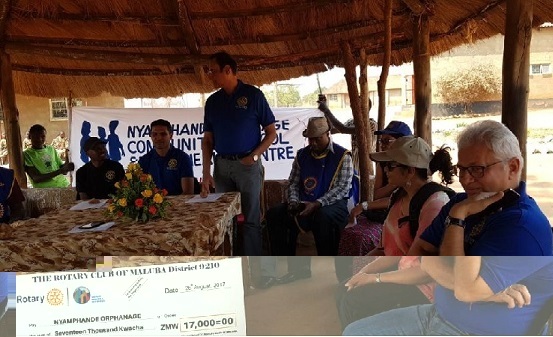 I am happy to learn that the second largest Rotary Club, Maluba, had decided to partner with the school to make a difference in the lives of the children of Nyampande,” said Mapani. And Maluba Rotary Club president Aditya Devalia said he was optimistic to nurture a bond with the school management for growth. He added that the community must be accountable for all the projects the Rotary Club of Maluba had embarked on at the school. “This project was born about a year ago. It came to our eyes through our pastor, Bishop Mambo. And the idea was very big and instrumental for the orphanage. As you know, the kids are coming from all over Rufunsa. 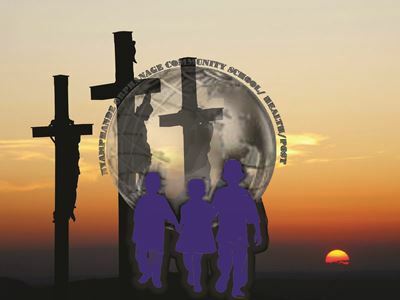 We have got about 600 children, from ages five up to 17; from early childhood education to grade 12. And the main idea for our club is to make a difference in the lives of people of Nyampande,” said Devalia. Nyampande Orphanage Community School headmaster Joseph Buti thanked the Rotary Club of Maluba for partnering with the orphanage. “On behalf of our chairman, a vision carrier Bishop John Mambo, we are greatly humbled by the Rotary Club of Maluba partnering with us,” said Buti. Through the Rotary club of Maluba, American Rotarians donated a container library worth US$5,000 and Maluba Rotary Club is working to install the facility at the school. The Club also donated assorted educational materials to the school.